Fruit Punch is not the best fruit punch I've ever had. But is it the best fruit punch POP you've ever had?! Corey wrote: But is it the best fruit punch POP you've ever had?! Only for the fact it's the only I've had. When was the last time you had this Corey? 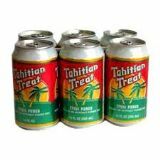 Tyler wrote: Source of the post When was the last time you had this Corey? Every hour, on the hour, I drink one. Wasn't it like 4 jobs ago that had it for free? Tyler wrote: Source of the post Wasn't it like 4 jobs ago that had it for free? I forgot to post in here. I did have one finally. About a year or two ago on the ride down to Des Moines to see Tyler and fam. It wasn't that good.